Check the Blue box for the date of our next club meeting. You can also leave a message by checking on the "Welcome" header. Founded in 1983, the Bergen County Silent Fliers (BCSF) are located in Dunkerhook Park, which is located in Fair Lawn, NJ. BCSF is a non-profit organization dedicated to promote and encourage the sport and hobby of radio controlled electric powered aircraft with respect to research, development, design, construction, and operation of such aircraft in an atmosphere where informality, non-competitiveness, safety of operations, pleasure, recreation, fellowship, and enjoyment prevail. We are Northern New Jersey's first and only AMA Gold Leader Club, the most prestigious national award AMA bestows to its chartered clubs. We are a teaching club with a full staff of instructors ready to help anyone wishing to learn to fly and enjoy this hobby. 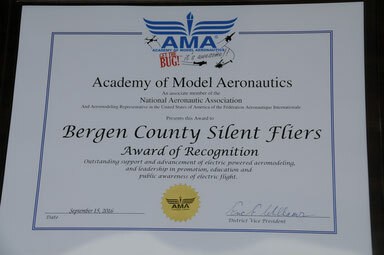 Flying of R/C aircraft is by permit only and issued to Bergen County Silent Flier Members in good standing. Our field is located in a Bergen County Public Park, membership is open for ANY Bergen County resident with a valid AMA card. 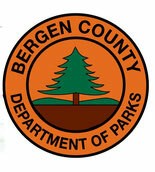 Gas or glow powered airplanes are not permited in the park and are in violation of Bergen County Ordinance Laws. Any person flying without a permit will be subject to a fine by the Bergen County Police. 23 - 7th Annual BCSF Warwick Fun Fly, Warwick, NY. See Events tab for flyer.